Routinely adding new content to your website is one of the most effective ways to generate new traffic and leads to your site, and that's where a blog writing service comes in handy. Sumy Designs knows the demands of running a business. We know you're often short on time. We can help. Blog posts are the fastest way to keep your website continually updated. Search engines like that. Blog content is also a great way to attract prospective customers, boost inbound marketing efforts, and of course, to attract attention and drive traffic to your site. Search engine optimized (SEO) blog content contains specific keywords and phrases targeted by consumers that are relevant in driving your business to the top of search engine results pages. Don't know how to optimize your blog for increased traffic and visibility? Do you struggle to find topics to write about or convey your thoughts? Do you often forget to write and post blogs on a weekly basis? Or do you find that you just don't have time in your already busy schedule? Sumy Designs can do it for you! We've added blog writing options to our website development services. We can help you connect with your target market and share your expertise, skills, products, or services with prospective clients. Here's how it works. When you sign on, you'll work with one of our copywriters to brainstorm blog post topics based on your mission, products, or services. After a list of topics is created, our copywriter creates one new blog post (or more if you wish) every week for your website. We send it to you for review. You request any changes and once it's finalized, we'll post it to your site for you, complete with a stock photo, as needed. Your blog is not only an effective method in promoting your business, but offers your customers a personal glimpse of your professionalism, expertise, and character. Your blog content is just as important to your website as your homepage. Consistent and well-written blog posts are vital in today's highly competitive online environment, whether you're an independent contractor, a small business, or a company. A blog is an excellent method to initiate and develop a relationship with your current and potential customers. Blogs are also effective in prompting communication and interaction through comments and feedback. Your blogs can establish you as an expert in your business and promote your brand. 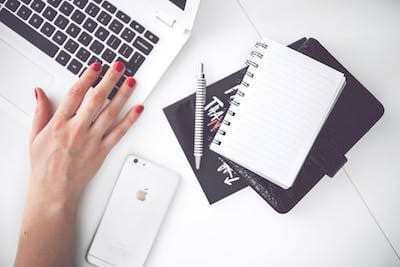 When you subscribe for monthly blog writing services, we’ll create relevant, effective, and consistent blog content for your site that increases your visibility and promotes traffic that gets you noticed and can help expand your business. For more information about our blog service options, contact us today!